Recipes and tips to create your own jams, jellies, pickles, relishes and chutneys from an ABC Local Radio regular. Zesty yet simple raspberry jam on steaming fresh scones from the oven; tasty pickles, relishes and chutneys to complement roasts; and plump, tasty pickled onions and sumptuous fruit cheeses for the cheese platter ... just a small taste of what readers will find in Sally Wise's wonderful preserving cookbook. 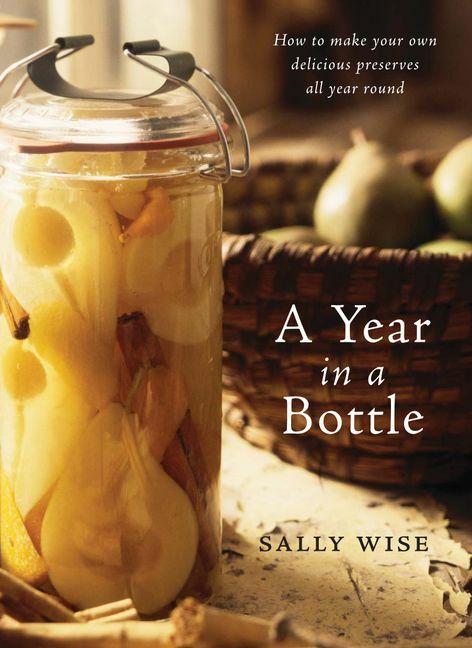 Containing a lifetime of passion and preserving wisdom, A YEAR IN A BOttLE is an inspiring and practical collection of more than 100 recipes and hints for making your own glorious jams, jellies, marmalades, drinks, pastes, fruit cheeses, chutneys, relishes and pickles. Includes easy and simple recipes, technical advice and helpful hints from selecting ingredient to safety tips to ensure success.